There have been many articles written about starting seeds but I think that all of us can continue to learn. I have been a gardener for over 50 years and I continue to pick up tips and information on a variety of gardening subjects. I have been chairman of our Master Gardener greenhouse for a number of years and I have gleaned some information on starting seeds and growing plants that will be beneficial to gardeners both novice and experienced. I'll take you through it all, from where to get your seeds to transplanting your seedlings into the garden in the spring. It seems like the new seed catalogs begin to show up in our mailboxes earlier each year. The current catalogs provide an excellent starting point for next year's garden. The first step is planning. Ask yourself these questions as the first step in your planning process. What do I want to grow? How much room does it require? In many cases two or more crops can be sown in the same space. You can start off with a cool season crop such as spinach, lettuce, broccoli, when this crop is harvested you can sow another warm weather crop such as beans, eggplant, etc. When selecting seeds for a second season crop be sure to check the days to maturity versus your first frost date. This will ensure the rop has plenty of time to mature before the frost hits it. Does it need to be started from seed indoors, or can it be directly sown in the garden? Now is the time to learn as much as possible about each plant you want to grow. 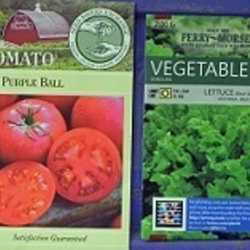 This information is usually obtained from a good quality seed catalog. Some of the most important bits of information to know at this stage are the germination period and days to maturity. These can help you determine when your seeds should be started. Here are some terms that you need to know. The average range of time to germinate is usually given in days. 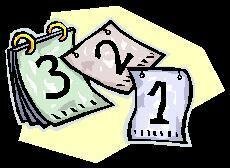 A seed that takes 8 to 14 days will usually come up fairly evenly; one that takes longer will tend to straggle in irregularly. Time varies with temperature, so expect considerable variation. Don't give up too soon--many who have given up and sown another seed in the pot end up with two types of plants in the same container! It is very important to know the temperature range that your particular seeds germinate at. 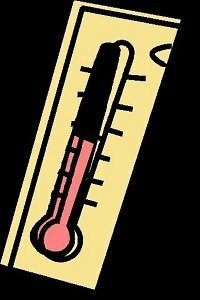 In order to assure high percentage germination, it is important to maintain these temperatures until your seeds germinate. 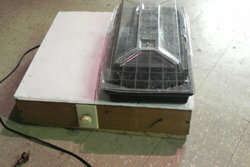 You can usually find the optimum germination temperatures for your particular seeds on the back of the seed package. You can achieve these temperatures by several methods. Heat mats are commercially available from many mail order and local garden centers. I prefer to use a heat box which I built myself from plans I discovered in an organic gardening magazine back in the 1970s. 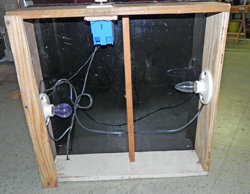 I made my heat box from scrap materials I had lying around the house and garage and it has been serving me faithfully for over 40 years. I built it to hold two flats on top of the box. It is 23 inches square and 6 inches high. The heat source is two 25-watt light bulbs. often times the top of your refrigerator is well-suited for this. You can also slip a plastic bag over them to increase the humidity until they germinate. This term refers to the average length of time from when you set the transplant into the garden until you can expect the first harvest. For folks in the northern areas where you have shorter growing seasons, choose varieties that have the shortest days to maturity as possible. For example choose tomatoes that mature in the 60 to 70 day range versus those that might mature and 80 to 90 days. Now that you have a handle on how long each variety takes to mature, it's time to begin to think about where to get your seeds. A good place to start is the Garden Watchdog. The GWD is a directory of over 7,000 mail order gardening companies worldwide, ranked and reviewed by gardeners like you and me. Don't ever purchase any gardening materials through the mail without first checking the Watchdog! 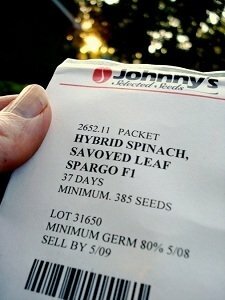 My all-time favorite mail order company is Johnny's Selected Seeds. Their catalog is chock-full of information on growing as well as a tremendous selection of vegetables, flowers and herbs. Some lesser-known seed suppliers who have an internet presence but supply an excellent product include Gleckler Seedsmen, Tatiana's TomatoBASE, TomatoFest.com, and Canadian-based Casey's Heirloom Tomatoes. 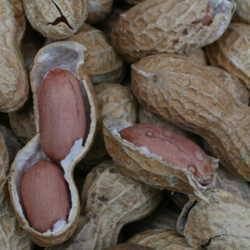 Now that you have the information how to plan and obtain your seeds, it's time to order seeds. 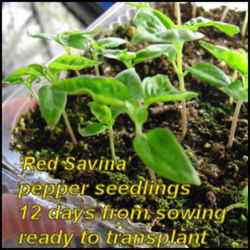 Soon we'll discuss selecting seed starting mediums, and when to transplant into pots.